The Ultimate Support LT-48FP gives you an affordable, secure way to add a lighting tree to your existing speaker rig. 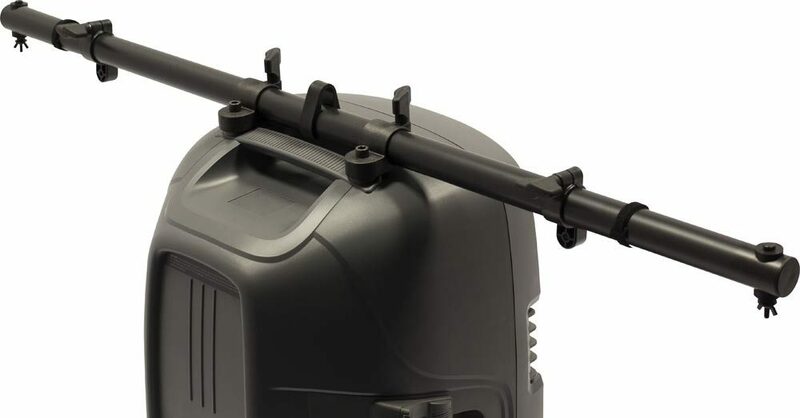 This 48" lighting crossbar easily and securely attaches to the top of the speaker using the speaker's existing fly point holes (Mounting holes). Once you attach it to your satellite pole or tripod stand-based speaker rig, you've added a lighting rig without adding to your footprint. Add some lights and music, and the rest of your party, wedding, dance or corporate event will practically take care of itself! zZounds is an authorized dealer of Ultimate Support products.